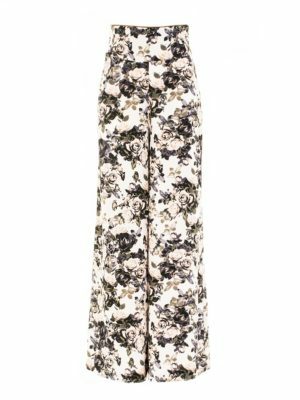 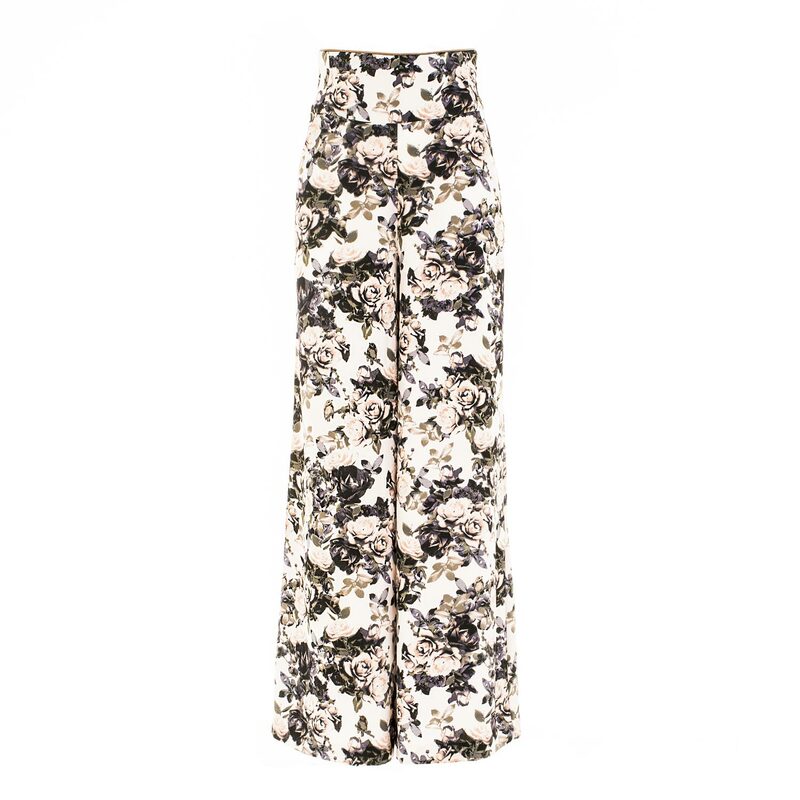 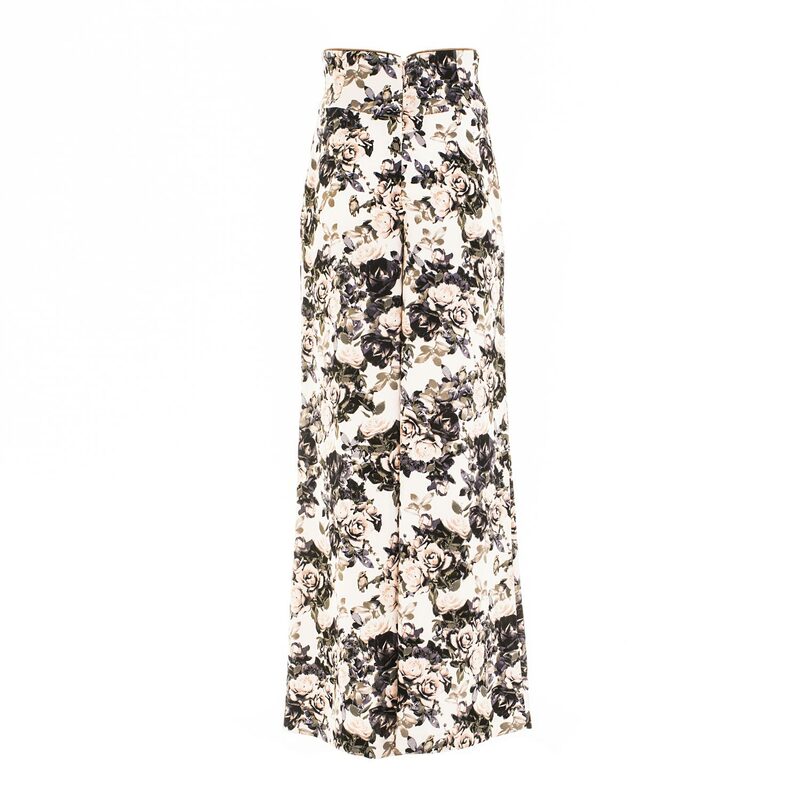 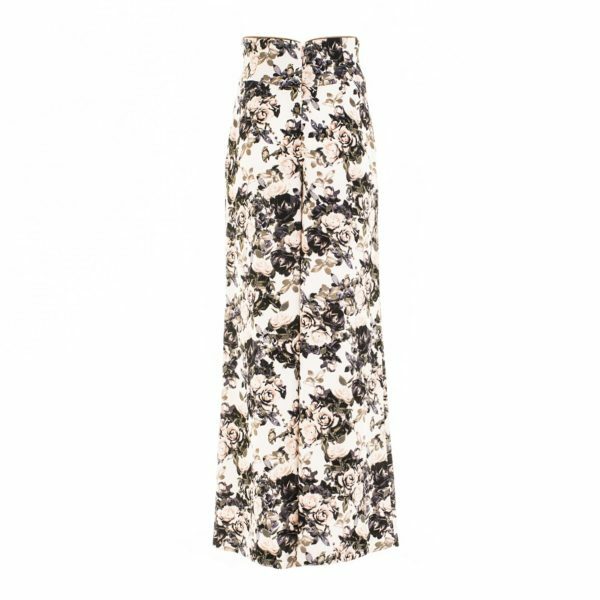 Flower printed crepe de chine palazzo trousers with side pockets and top zip. 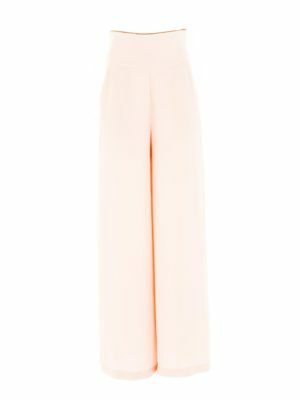 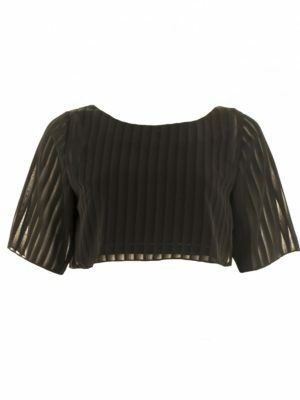 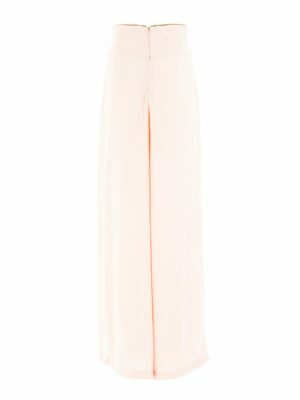 These high waisted flared trousers have an unbelievable flattering fit, and an extremely soft touch sensation. 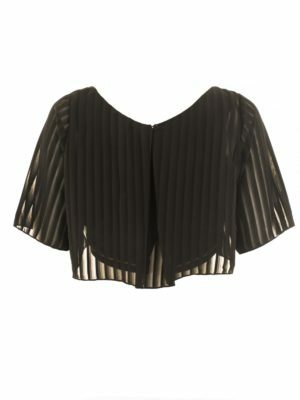 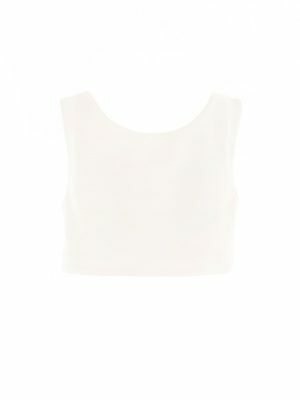 Thanks to the top stylish zip, you can combine your stylish trousers either to the elegant black chiffon top or to the more classy sleeveless white crop-top.